Keeping everyone in check is a big responsibility, and, at the end of the day, you deserve a little "me time" to shed all that self-imposed tension! Life taken too seriously lacks zest. 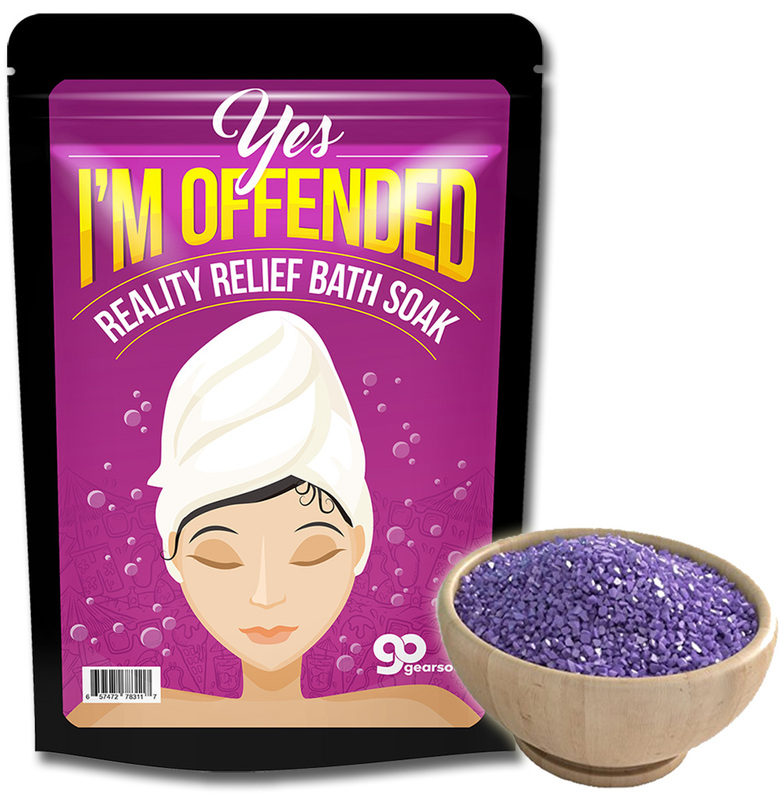 Yes, I’m Offended Bath Soak is the perfect blend of silly novelty and relaxing home spa gift. Whether you’re shopping for a pal or looking forward to a soothing spa day for yourself, rich Mediterranean Sea salts with healthy dose of the giggles are just what the doctor ordered! 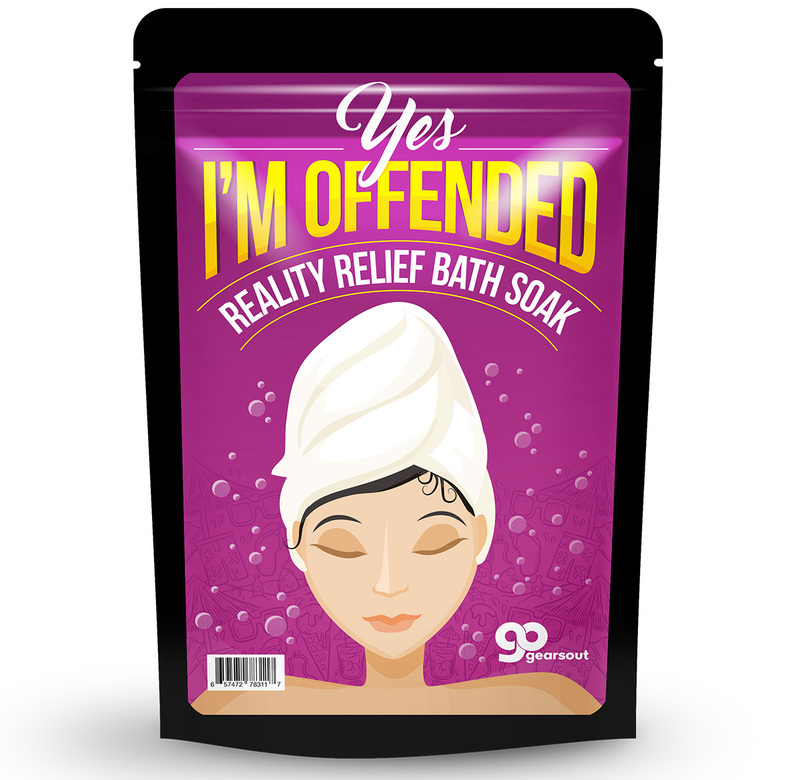 Yes, I’m Offended Reality Relief Bath Salts are a sassy, funny gag gift for all the fabulous women on your shopping list. 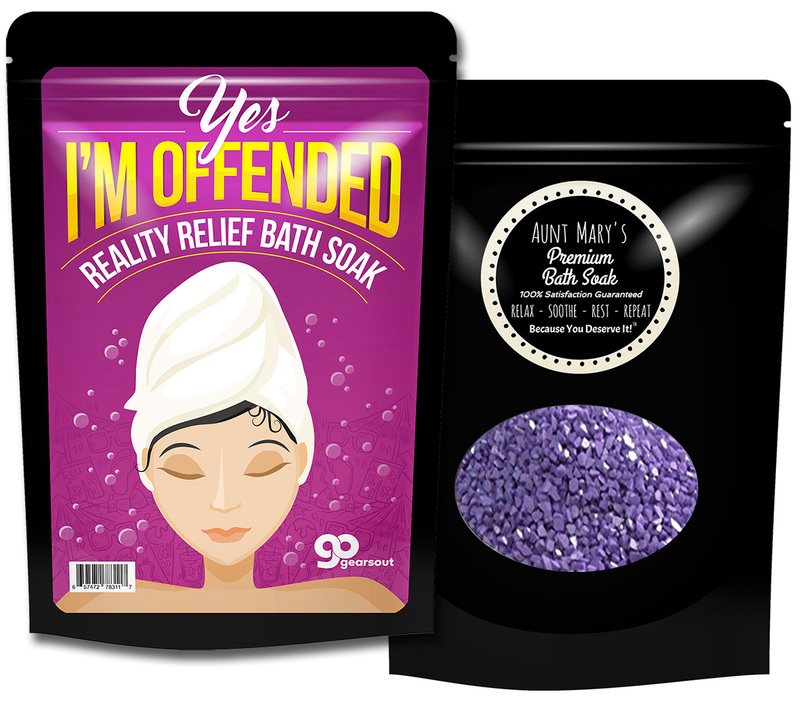 This lighthearted gift for ladies is a giggle-worthy addition to spa gift baskets. Want to add some laughs to the holidays? Slip a bag of this pampering gift in as a funny stocking stuffer, or wrap it up as a fun, yet useful white elephant gift or Secret Santa surprise.